Our managed dedicated servers provide high performance and high relibility. They are all based on Dell Premium Server Components. We never resell desktop machines as dedicated servers. Running an Internet business or high volume website requires serious hardware. 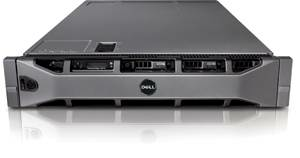 We utilize only the best Dell Server Hardware for our servers. This leads to greater compatibility and stability in our servers. Couple that with proactive server management, we can detect and resolve most server issues before your customers do. Virtual Private Servers (VPS) are an excellent compromise between shared hosting and more expensive dedicated servers. Our Managed VPS provides dedicated resources and additional flexibility without the higher costs of a dedicated server plus high quality support. We utilize full virtualization technologies based on the VMWare Cluster model to allow multiple guests run on a single piece of high performance hardware. Our VM's are hosted on Intel Xeon 5500 Processors with 32GB of RAM and EMC VNXe shared iSCSI disk arrays.